The California Southern Railroad was a "subsidiary" of the Santa Fe Railroad that served between Barstow, CA and National City, CA. The line was completed in November, 1885 and became the western terminus of Santa Fe's line to Chicago. Two critical parts were troublesome; one between Oceanside and Temecula and another between Elsinore (Lake Elsinore today) and Perris. These canyon segments faced washouts from typically dry rivers in narrow canyon passes. 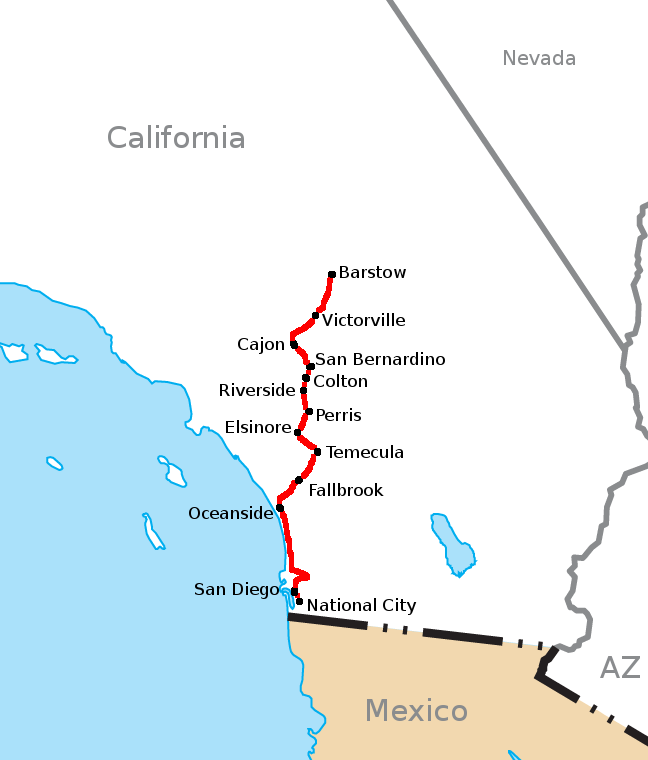 Segments of the line still exist from Perris to Barstow and from Camp Pendleton (just north of Oceanside) down to National City. Remnants of the line exist in Camp Pendleton to just before Fallbrook.